Daylilies are loved by gardeners worldwide. While not used for formal flower arrangements, they bring beauty to the average garden. Easy to grow and hardy from USDA zones 1 through 11, these plants can adapt to, and thrive in, nearly any environment. Gardeners who enjoy the company of canine companions may worry about the safety of their gardens, particularly if their dog thinks everything in the world belongs in his mouth. Knowing whether plants, including daylilies, are toxic, non-toxic or cause any ill effects allow gardeners to plant their plots without concern for their pups and avoid any interactions that can lead to costly veterinarian bills. Upon first glance, you may think daylilies are a part of the Liliaceae family. After all, this genus contains most of the lilies on the planet. Daylilies belong to their very own family, however; the genus Hemerocallis. Native to parts of Europe and Asia, daylilies are perennial plants that bloom in proliferation in the spring and early summer months. Many plants of the Liliaceae family are toxic to dogs. Hemerocallis spp. plants are not members of this family and, according to the American Society for the Prevention of Cruelty to Animals' Poison Control Center, do not pose a health risk to dogs. Some cultivars of this plant closely resemble the "Lily of the Palace" plant, Hippeastrum spp. which are extremely toxic to dogs, causing symptoms including but not limited to enteric distress, hyper-salivation, seizures, low blood pressure and erratic heartbeat. While daylilies are considered non-toxic to dogs, they are extremely toxic to another household pet-- the cat. Feline nibblers who ingest the leaves, blooms or bulbs of the day lily are subject to acute or chronic kidney failure. 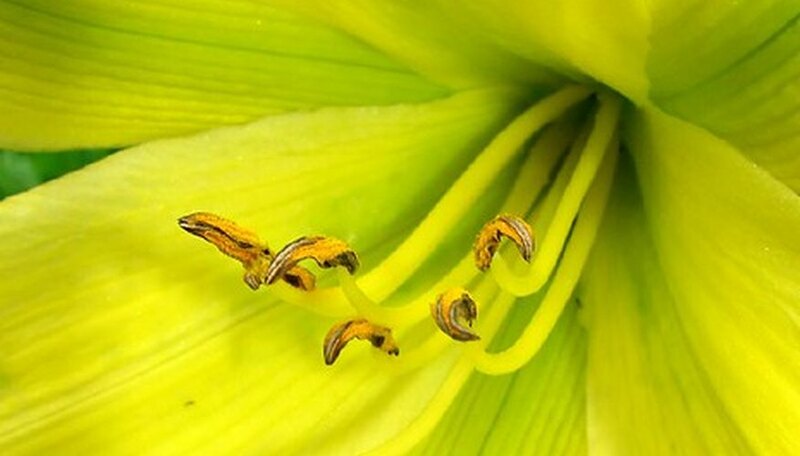 The toxic principles in the daylily plant are unknown, making it impossible to know why this plant is toxic to cats and not dogs. Despite its non-toxic status, dogs should not be allowed to nibble on daylilies unattended. Dogs are, by nature, carnivores. While ingestion of daylilies will not cause significant harm to your pooch, stomach-upset-including diarrhea and vomiting can occur due to the influx of plant matter that dogs cannot properly digest. This is not a life-threatening reaction, but is extremely uncomfortable to your dog and often results in the destruction of your daylilies. It is advisable to make sure you know the scientific name of the plant you are dealing with. Due to the close resemblance of some members of plants outside of the Hemerocallis family, as well as the ambiguity of common names, dog-owning gardeners should cross-check the scientific name of their flowers with a list of toxic plants, such as the one published by the ASPCA. "Handbook of Poisoning in Dogs and Cats"; Alexander Campbell, Michael Chapman; 2000"